It is the Dark Ages, and the Church is fighting against 'black magic'. 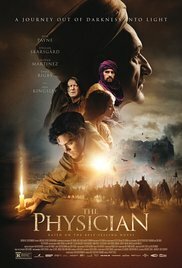 The medical knowledge of Greek physicians like Hippocrates and Galen had been lost to the medicine of medieval Europe (until taught later in schools such as the School of Salerno after the Arabic-Latin translation movement of the 12th century). In 11th-century England, travelling barber surgeons attempted to supply medical care to the ordinary population, often at the risk of the Church persecuting them for witchcraft. Read more on Wikipedia.